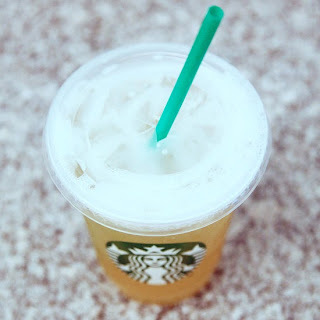 Shaken Iced Peach Green Tea Lemonade. I know right?! That's a lot of goodness in one name. And one cup. As far as taste, it's like a toned down Sweet Tart with smoothness over ice. Delic. So although Passion Tea will always have a soft spot in my heart for the days it got me through colic, there's a new bev in town.